An impassioned guide to how computers can fundamentally change how we learn and think. Andrea diSessa's career as a scholar, technologist, and teacher has been driven by one important question: can education-in particular, science education-be transformed by the computer so that children can learn more, learn more easily at an earlier age, and learn with pleasure and commitment? This book is diSessa's informed and passionate affirmative answer to that question. While written at a level that anyone with a good acquaintance with high school science can understand, the book reflects the depth and breadth of the issues surrounding technology in education. 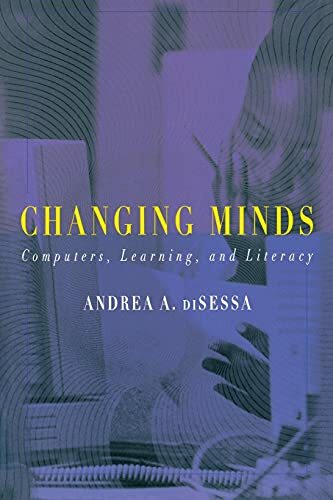 Rejecting the simplistic notion that the computer is merely a tool for more efficient instruction, diSessa shows how computers can be the basis for a new literacy that will change how people think and learn. He discusses the learning theory that explains why computers can be such powerful catalysts for change in education, in particular, how intuitive knowledge is the platform on which students build scientific understanding. He also discusses the material and social reasons for the computer's potential and argues for "two-way literacies," where everyone is a creator as well as consumer of dynamic and interactive expressive forms. DiSessa gives many examples from his work using the Boxer computer environment, an integrated software system designed to investigate computational literacies. 1. Changing minds : computers, learning, and literacy.